Headed to Oahu soon? Looking at your transportation options for your arrival, and for when you need to return? 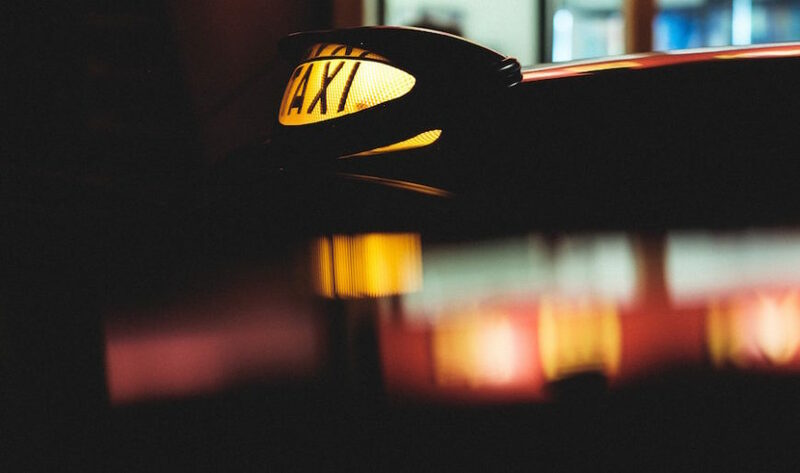 Given that you’re searching for an alternative to a traditional taxi service, you already know how expensive it can be, and how hard it can be to find one to take you swiftly from baggage claim to your island destination. Thankfully, you’ve come to the right place. Today, we will take a look at your options to see which gets a passing grade for your needs. The cheapest alternative, is public transit. But that also means you get the cheapest and worst possible experience. Not exactly a great way to arrive in paradise. Need a little clarity? For one, TheBus (official transit name) won’t allow you to bring luggage on the vessel. In addition, it will take you well over an hour to get to Waikiki, and much longer to most other destinations. Don’t even think about taking TheBus from HNL to the windward side or the North Shore. Other common complaints from travelers include the schizophrenic temperature fluctuation on TheBus (the A/C is always on the fritz), and the fact that you’ll meet some pretty interesting characters on there, and that’s not quite a good thing. Read more on why you should not take TheBus from Honolulu airport. One alternative to taking a traditional taxi from an airport (any airport) is a ride hailing service such as Uber or Lyft. But when it comes to HNL, it’s not as seamless as it is with airports on the mainland. For starters, there are two inconveniently located Uber specific pick-up zones, which is a real pain for anyone arriving at the airport with luggage (everyone?). Then, there’s the fact that unless you cough up the dough for UberXL (way more than all other alternatives here) you probably won’t get a vehicle large enough to accommodate your entire party and luggage. If you’re traveling with your family, including car/booster seats, don’t even think about this option. Beyond those logistical headaches, you have to contend with the awkwardness of having a non-professional driver take you on the long (30 minutes+) ride to your destination, which often includes not-so-witty and at times weird banter. Who wants that after a 6-hour flight? Plus, when traveling during busy hours, there is no real cost benefit to the ride hailing option. Read more on why a direct flat rate shuttle is preferred over this option from HNL. Some visitors are OK with this option, but it’s certainly not for everyone. These shared shuttle buses are certainly preferred to TheBus but they can take just as long, if not longer. The pickup process takes forever, as the shuttle must wait for every reservation (when applicable) to make their way from baggage claim. If not a pre-reserved shuttle, the service operator is still instructed to wait until they have secured enough passengers to make the trip from HNL financially worthwhile. Once on, Murphy’s Law always seems to reign, as your hotel/stop falls at the back half, or last, on the drop-off list. You have to wait until each and every other passenger disembarks and removes their luggage from below. It’s downright exhausting. Plus, consider this – the prices range from about $10 to $15 per person. As soon as you’re traveling with a party of three or four, it no longer makes any sense. Why subject yourself to that when there is a much better option? Keep reading. So far, things aren’t looking too good, with the above three grades coincidentally spelling FED, as in “fed up” with the transportation options available thus far. But fret not, because you’ve now find the alternative you’ve been looking for. A flat rate shuttle reservation takes the guess work out of the equation. For example, at just $35 from HNL to Waikiki for a party of four, you’ll start your trip off with money to spare and spend in better places (happy hour pupus?). The rates for all island destinations can’t be beat. But there’s more. When you book this service, you don’t have to wait on anyone or anything, aside from the baggage handlers and your luggage, that is. Once you leave baggage claim, your chariot awaits, and once you’re received (with a lei greeting?) by your friendly and courteous driver, you’ll be swept away safely to your hotel or stay without delay. There will be no stops, and not a minute wasted. We saw that a demand needed to be filled, and we filled it, providing locals and visitors alike with a “one stop shop” alternative to taking a taxi from Honolulu International Airport. There is really no better option. Book your top alternative to taking a taxi by calling 1.800.929.1219 or complete the reservation form found here (24-hours in advance of your arrival).